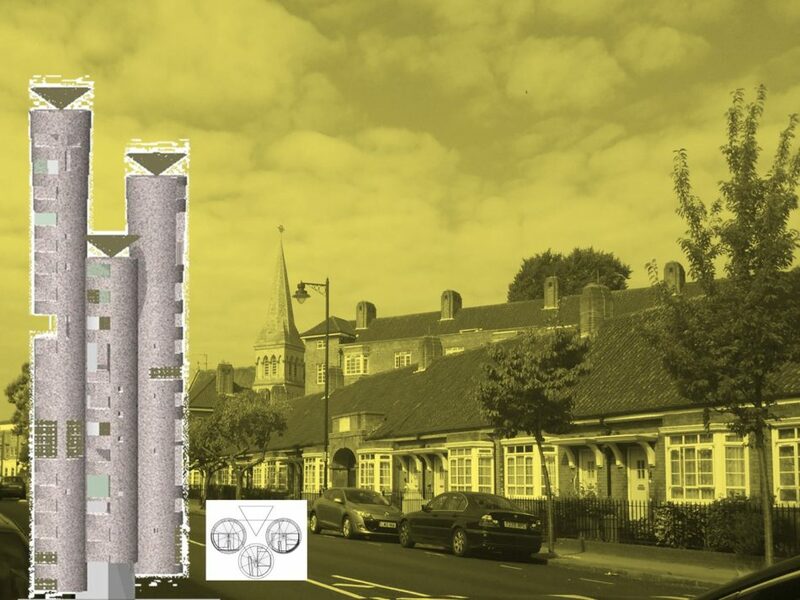 Ideas competition to propose solutions for London’s housing shortage. Three spires rise in a trefoil configuration with a north-facing core a new typology for London. Homes with maximum perimeter envelope, offer chances to garden, access nature, ventilate, light & store outdoors. Fabrication advantages arise with this form & a fully livable urban apartment! It is intended for existing vibrant areas. This entry was posted on Tuesday, July 19th, 2016 at 8:15 pm. It is filed under Larger residential & experience. You can follow any responses to this entry through the RSS 2.0 feed.